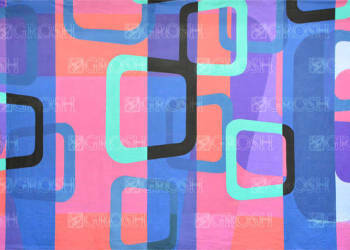 Our Retro backdrop features cyan, pink, clue, black, and violet geometric shapes rendered in a classic 60s-style pattern. Fabric is very brittle. 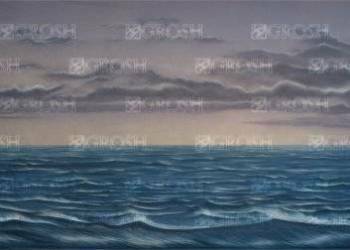 This backdrop is a dramatic depiction of a stormy sea on a dark night on the high seas. Drop has big tears in the middle and bottom. There are water stains, too.